32,000 M³ LEG Carriers optimized CTs design and applying MAN B&W DF M/E are bringing remarkable benefit on CTs Capacity, Lower Fuel Cons. and Better EEDI. 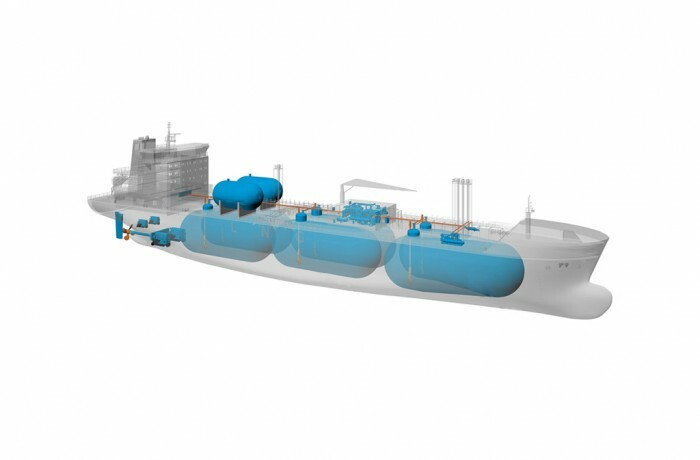 BV I, +HULL, +MACH, Liquefied Gas Carrier - dualfuel, Ship Type 2G (-104°C, 0.602 t/m3, 4.1 bar g), Unrestricted navigation, VeriSTAR-HULL DFL 25 years, AUT-UMS, SYS-NEQ, MON-SHAFT, INWATERSURVEY, GREEN PASSPORT, CLEANSHIP, BWT or equivalent.